But as the old saying goes – you dim sum, you lose some. We have compiled a list of Brisbane’s best Chinese eateries that are so full of flavour and promise that you’ll never want to let go of your dish. Ain’t no valley delicious enough, to keep us from you. Little Valley has some whopper flavours, with fresh twists on classic favourites such as the truffle and potato spring roll, chilli crab and pork Xiao long bao and red bean ice cream with pumpkin curd, orange and honeycomb. These mind blowing eats come as no surprise knowing that the Rick Shores team is behind it all!! Where modern Chinese cuisine comes to play on your palate. Donna Chang is the newest recruit from Blackbird and Byblos, that offers two exquisite menus; one lunch, one dinner – and both worthy of your time. You’ll be (chop)stuck on the wagyu pepper puffs, drunken pipis and quail with fragrant black vinegar and jasmine tea (and just about everything else that’s up and cooking). Side note: it makes for the perfect date night spot. With 25 years up their sleeve, China Sea is the place to be for authentic eats. This family owned restaurant will welcome you into their homey space, and positively knock you out with amazing banquets and duck pancakes (after all, what are family for?). It’s time for a succulent Chinese meal at your local gem. We dare say you’ll be a happy boy (or girl) after visiting this joint. (Sorry, that was too easy.) What isn’t easy are the dishes that Happy Boy whip up. Everything is cooked with the utmost care – from salt and pepper quail eggs to gong bao chicken, you will be presented with perfection. We know you’ll be happy with that. To say that you’ll be tempted to start with dessert is an understatement. Deep fried ice cream anyone?! Super Bowl has everything bar a half-time show. She’s a little gritty, but you’ll be sitting pretty with everything from side dishes to banquets. If you still can’t decide, we suggest the roast duck laksa. You’ll be wonton more. Wok (or drive) on down to Sichuan Bang Bang for Chinese cuisine with a modern twist. We’re drooling over the Mongolian lamb ribs with chilli, ginger, sesame and the eternally controversial coriander. For all you legendary Rick and Morty fans – yes, Sichuan is an alternate way of spelling Szechuan, and yes, they have Sichuan/Szechuan sauce. It won’t take you nine more seasons to get that dipping sauce, Morty. This is defs a mid-week dinner meet with your mates. I wonder what these guys serve on the regular? Dumplings, perhaps? Seriously though, if you want the best handmade dumplings, hit up Little Red Dumpling! 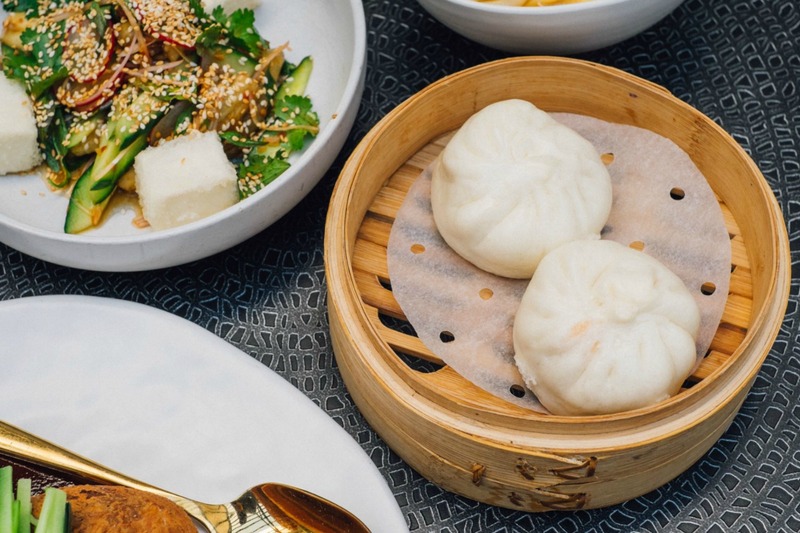 They’ve got dumplings to suit anyone, from vegetarians to carnivores. That’s the way it’s gonna be, little dumplin’. Udon even know how good this little place is. The Little Cube is big on spice and traditional flavours! Step outside of your comfort zone with the sliced ox-tripe and tongue, or take it back to the classics with bean noodles in chilli sauce. Be there or be square. Poached, steamed or pan-fried? Fat Dumpling has a LOT of options, with some funky little flavour combinations and additions that stray beyond your typical dumpling house menu. Lose yourself in the chicken asparagus pan fried dumplings and top it all off with peach spring rolls and vanilla bean ice cream (yes, dessert spring rolls!). Peng You is big on big dishes. If you’re really hungry or just want leftovers for the next day (or two), get any of the main meals on offer and you’ll be both set and satisfied. We recommend the roast duck curry or the whole baby barramundi that’s wrapped and steamed in a banana leaf. Thank you, Peng You! - the gourmand that could eat ten plates of dumplings. Right now.